Columbian Autocar Corporation (CAC), the distributor of Kia vehicles in the Philippines, is once again opening its doors to qualified trade school students as part of its annual on-the-job-training (OJT) program. Starting out in 2014, partnering with La Salle Alabang, the program had been in continuous operations together with partners Kia Cagayan de Oro and Kia Manila Bay the succeeding years. 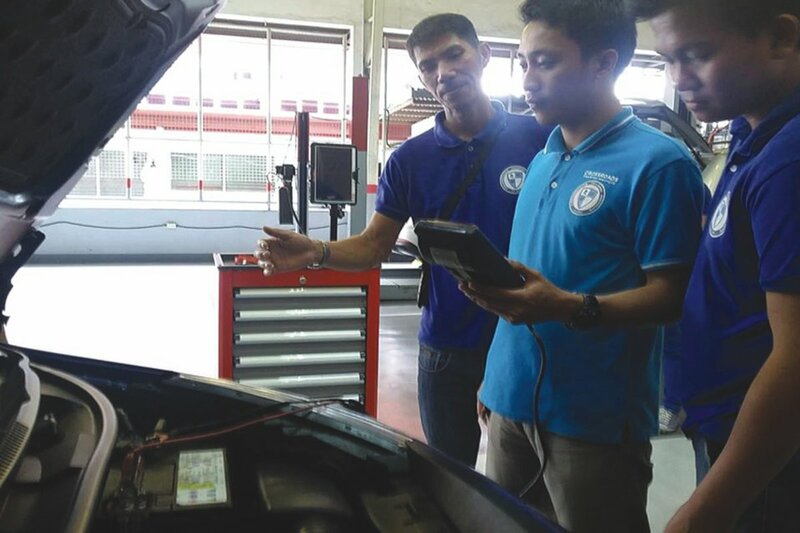 Participants of the program will have two weeks of meticulous training, getting familiarized with Kia technology at the Columbian Training Center in Pasay City. They will also get the opportunity to hone their skills in a 4-week training program at partner Kia dealerships where they will get their hand on actual units under the supervision of qualified Kia mechanics. All authorized Kia service dealers can refer students from qualified trade schools to be part of the program. Interested participants may contact the nearest Kia service location or get in touch through Facebook at Kia Motors Philippines. Last day of submission for OJT participants is on April 02, 2018 and CAC will accept only twelve (12) participants for the whole network.